Cloud Seeding | What is It, How Does It Work, and Does It Make a Difference? Cloud seeding. Humans interfering with mother nature to bring us more of the good stuff. It sounds too good to be true, but studies point to a snowfall increase of 3-10% during an entire season, and a Summit Daily news article lists 10% as an average increase, reports meteorologist and powder reporter Joel Gratz of opensnow.com. 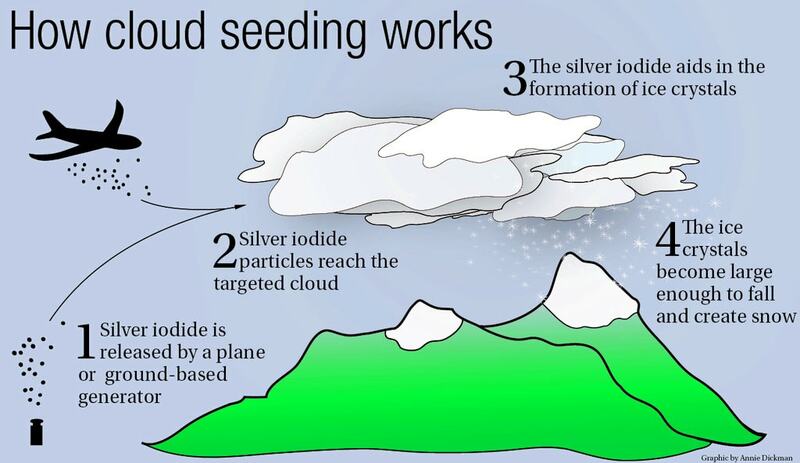 The concept of cloud seeding has been around since the 1940s when Bernard Vonnegut discovered that silver iodide could produce ice crystals when introduced into cloud chambers. In those days, cloud seeding was heralded as a way to produce rain where there was none, boosting crop yields and filling reservoirs to the brim. But in the mountains, where the economy relies on snowfall, these same methods can be used to get an edge over rival resorts. 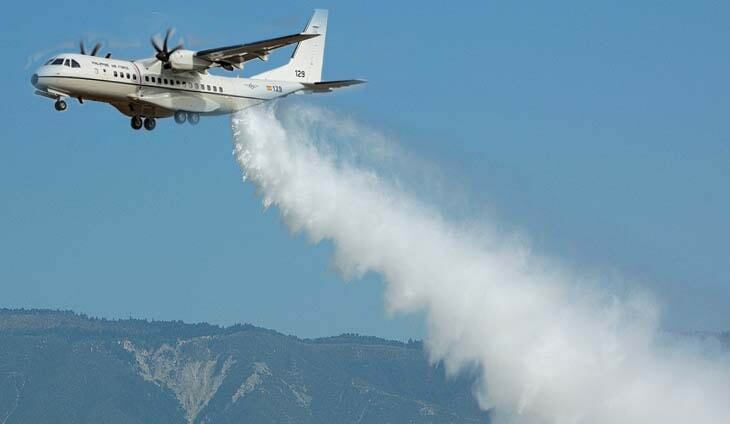 Cloud seeding is most commonly done out of airplanes. Planes fly into selected cloud formations and release packets of microscopic silver iodide particles using flares. When the particles meet cool moisture in the clouds, they trigger the formation of ice crystals and raindrops. The amount of silver iodide that is used is small enough to make sure that it doesn’t pose a pollution risk. And it’s important to plan things well. Since clouds don’t produce rain until 20 or 30 minutes after they have been seeded, one needs to make sure they deliver at the right place. Most research has estimated that on average you can get a precipitation increase of around 10 percent, with some storms you can get 25 percent and other storms you get zero. This doesn’t sound like much, an extra inch during a ten-inch storm, but over the course of a season that can add up to several extra feet. And at the relatively cheap cost of $250,000 per winter, it seems a no-brainer. But not every cloud can be seeded, and the process is as much art as science. The ideal targets are warm clouds where there’s plenty of liquid water floating around at freezing temperatures that don’t have any particles to latch onto. 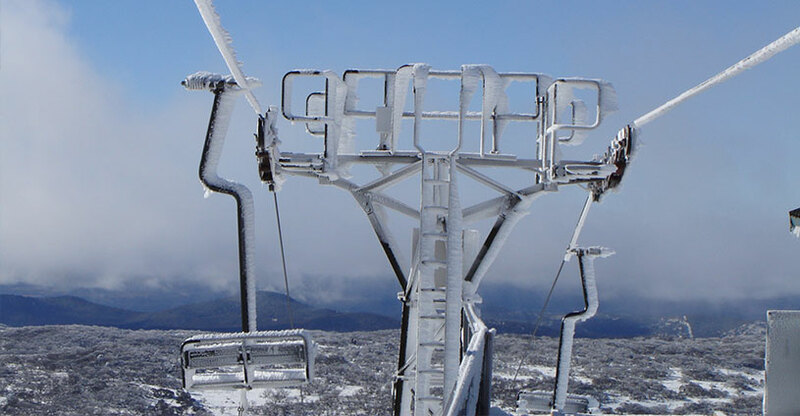 On a cold day on the ski slopes when a cloud is hovering on the mountain, you can see evidence of this in the ice that forms on objects. Vail Mountain, which has contracted with Western Weather Consultants for more than 40 years, hasn’t missed any of those chances for extra snow. “Some storms Vail would get 18 inches and everybody else would get 12,” McDonough said. Breckenridge Ski Resort, Keystone Resort, and Winter Park Resort are all sponsors of the Summit-area program. But snow that’s good for skiing is good for drinking later down the line, and Front Range water managers have taken notice. All sounds good to me, anything we can do to increase our chances of powder days. What do you reckon? Extra 10% snowfall, or a waste of money?